LONDON (AP) — Three small explosive devices in plastic mailing bags arrived at offices for two London airports and at a train station Tuesday, and Irish police said they were helping British counterterrorism police with the investigation. London’s Metropolitan Police Service said the devices found near London’s Heathrow and City airports and at Waterloo Station “appear capable of igniting an initially small fire when opened.” A staff member did unseal the bag sent to an office building on Heathrow’s grounds, “causing the device to initiate,” the police department said. Part of the package burned, but no one was injured, police said. The Compass Centre was evacuated as a precaution. 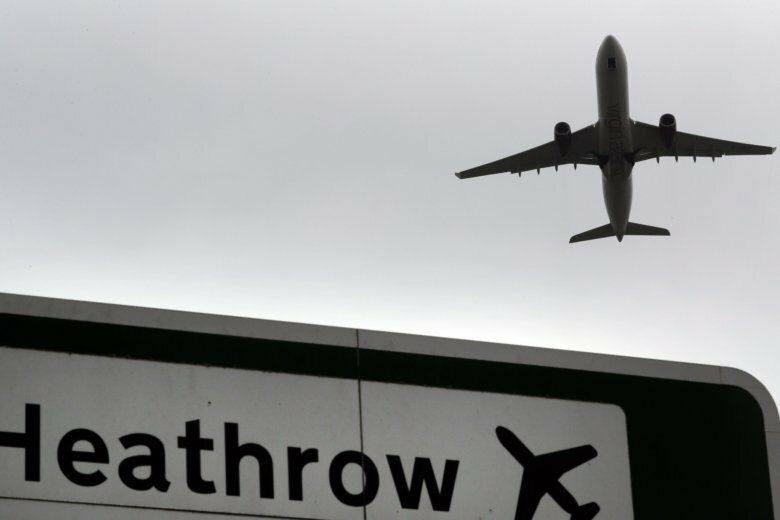 The building is not close to passenger terminals at Heathrow, Britain’s busiest airport, and flights were not affected. The Metropolitan Police Counter Terrorism Command “is treating the incidents as a linked series” and “keeping an open mind regarding motives,” the department said in a statement. Sky News correspondent Alistair Bunkall tweeted a picture of what he said was the package sent to the Heathrow office building. The stamps on the envelope have pictures of hearts and resemble ones issued by Ireland’s post office for Valentine’s Day 2018. No person or group claimed responsibility for sending the devices and police said they haven’t made any arrests. Police advised transportation stations throughout Britain to “be vigilant” and to report suspicious packages. London Mayor Sadiq Khan urged London residents and visitors to do the same. The official terrorism threat level throughout Britain is set at “severe,” indicating that intelligence analysts believe an attack is highly likely.